Liberty Mutual Responsible Sports Grants now available to help fund youth and school sports programs. Youth Organizations and School Athletic Programs can register for the chance to earn $2,500 grants at www.ResponsibleSports.com. Read the full article on Reuters.com for more details. November 30 application deadline. 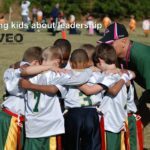 Are Youth Sports Better Today Than Yesterday?